Carmignano is a territory reach of magnificent Etruscan testimonies. The Archaeological Museum “Francesco Nicosia” in Artimino houses extraordinary grave goods of oriental traits, founded in the necropolises of Prato Rosello and Comeana, among which a goblet in turquoise glass, ivory plates and miniature statues, refined craftsmanship objects in “bucchero”(a class of ceramic distinguished by its black fabric as well as glossy, black surface), funeral sculptures, as well as testimonies from the first Etruscan nucleuses of inhabitants in Artimino and Pietramarina stand out. 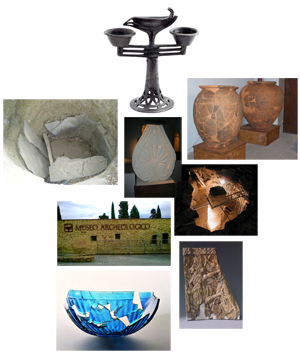 The Museum and the archaeological sites are immersed in one of the most beautiful landscape of Tuscany.